The La Quinta Inn & Suites Houston West Park 10 has been awarded the 2016 TripAdvisor Certificate of Excellence award. Samsung Flat-panel TVs with 30 channels of HD programming. Easy-access Plug-and-Play feature makes it simple to connect electronics. The La Quinta Inn & Suites Houston West Park 10 is the premier destination for visitors to Houston's Energy Corridor. With oil and gas exploration and engineering companies such as BP Amoco, Conoco, Mustang, and the Park 10 Industry area. For the leisure traveler we are only minutes from the upscale CityCentre development, Forbidden Gardens Miniature City, Great Southwest Equestrian Center, Katy Pony Baseball, The Yard (Baseball USA) and Bear Creek Golf World and Bear Creek Park - with its many baseball, softball, and soccer fields. Great shopping is only a short distance away with West Oaks Mall, Memorial City Mall, Katy Mills Mall and The Galleria. 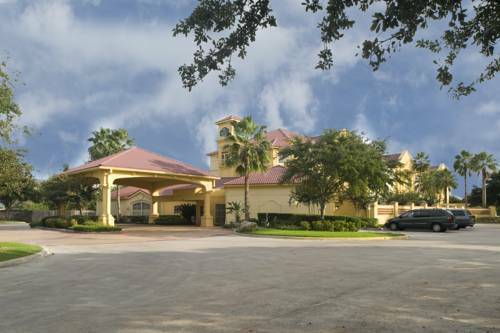 The La Quinta Inn & Suites Houston West Park 10 is also between top-notch medical facilities with Herrmann Memorial Hospitals in Katy and the Memorial City area. You will also find plenty of things to do with nearby restaurants and nightclubs and the Sam Houston Race Park (horse racing). All rooms include free wireless high-speed Internet access and more. With easy access I-10 and the Sam Houston Tollway you can quickly find your way downtown with attractions such as Houston's Theatre and Museum district, Reliant Center, Toyota Center, and Minute Maid Park.